Dr. Faustus is not your average doctor, but a depraved combination of bloodthirsty fiend and surgical steel. 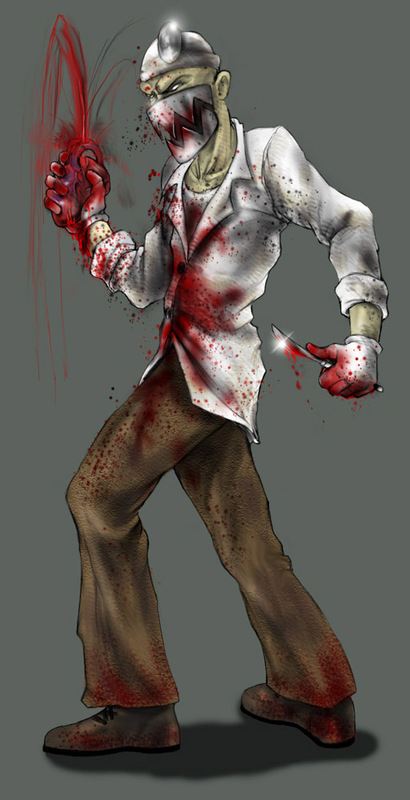 His surgical skills allow him to delicately remove a vital organ with a single pass of his scalpel, or rend his victims to a bloody pulp like a razor-toothed pit bull. As Hell's surgeon, Dr. Faustus loves his work, and his overzealous nature often causes him to lose all restraint while "operating". After mutilating himself by installing a form of "bear trap" to replace his mandible, he decided that his beauty treatments shouldn't be hogged all to himself. His victims felt otherwise.